There was a 12 knot headwind blowing directly from our destination the Heads of Ayr. 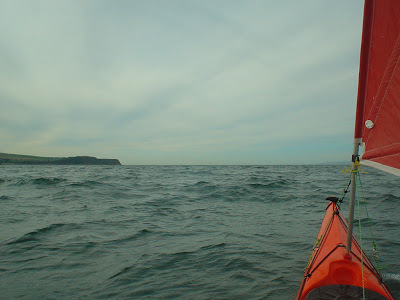 I decided to try and tack upwind to see if it would be quicker than just putting my head down and paddling straight for the Heads of Ayr. 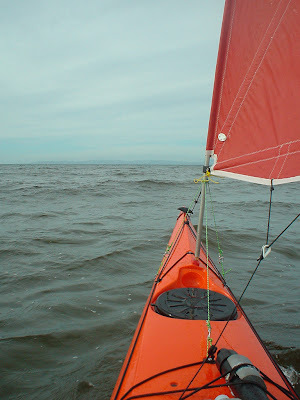 At first I tacked upwind while both paddling and sailing. 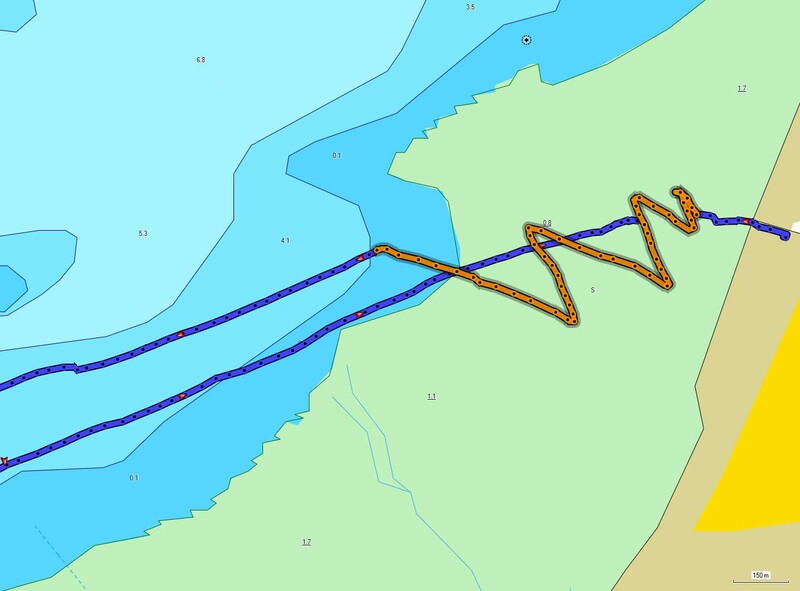 I covered 1600m over the ground but only 600m upwind in 15.28mins. The over ground speed was 6.3km/hr but the upwind speed was only 2.4km. Next I dropped the sail and paddled directly upwind. I covered the next 600m in 6.72mins which meant the upwind speed was 5.4km/hr. It was good to take a rest at Bracken Bay and work all this out. 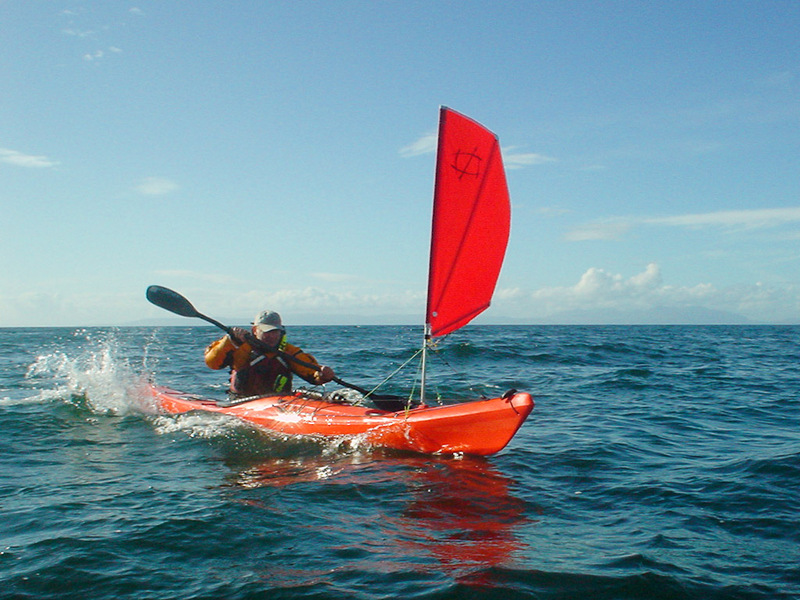 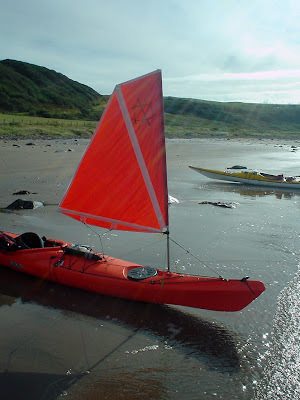 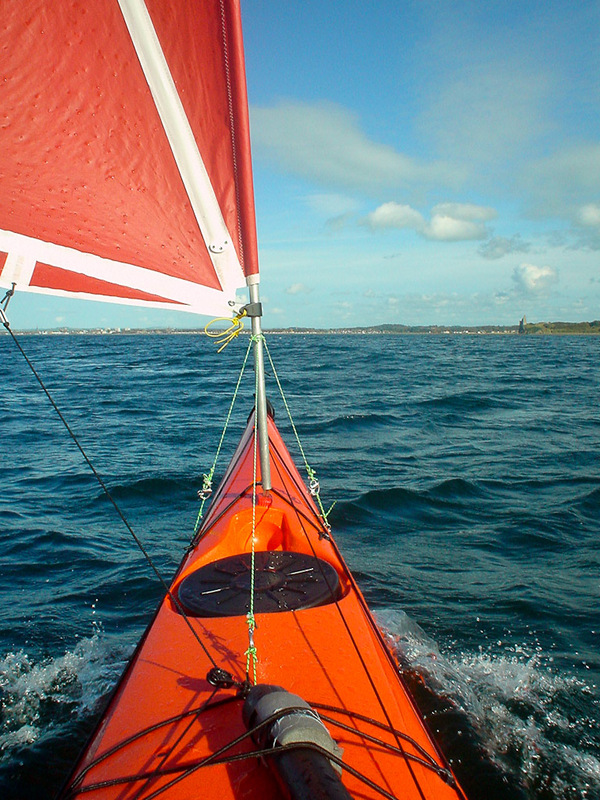 My conclusion is that it is not worth tacking up wind when kayak sailing but if you can lay your destination sailing closehauled it is worth kayak sailing. 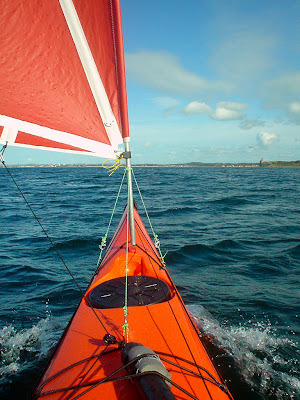 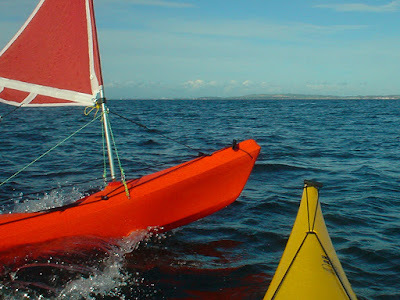 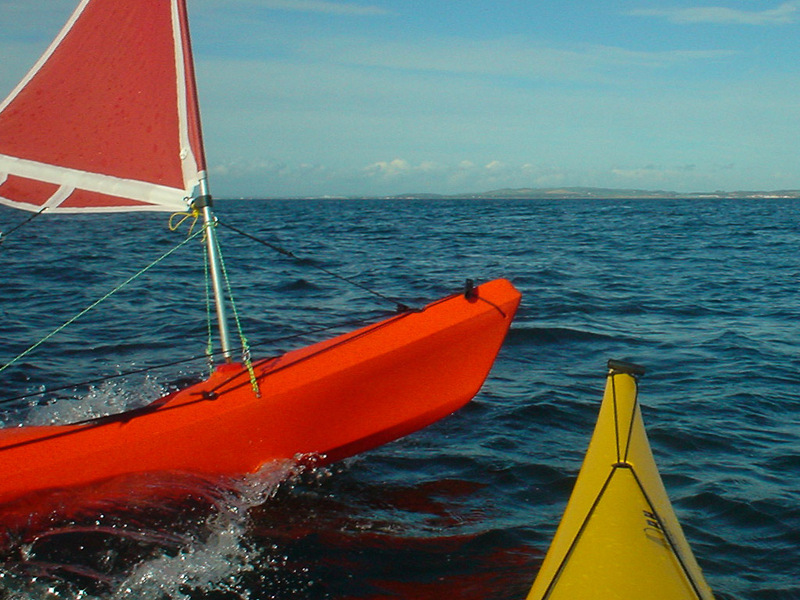 In this example the close hauled speed was 6.3km/hr and the paddling only upwind speed was 5.4km/hr.